Theme is such a challenging skill to master! 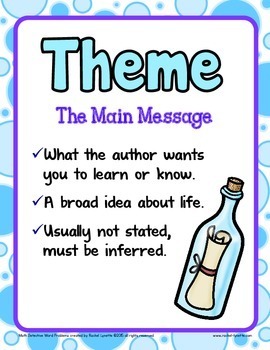 Here is a freebie that you can use with any story to help your students do just that. The first printable requires students to answer questions about how the character thinks and acts to find clues about the theme. The second one requires students to find evidence from the text to support the theme they select. There is also a poster to use for reference.